A federal bankruptcy case has been shaping interpretation of the Iowa agricultural supply dealer lien statute since the operator of a farrow-to-finish hog facility declared bankruptcy in 2009. Today, the Iowa Supreme Court issued its second opinion in this case,[i] answering two key certified questions in this drawn out litigation. The answers to the two certified questions—which uphold the decision from the bankruptcy court--further refine the contours of the ag supply dealer lien established by Iowa Code chapter 570A. They also bring welcome certainty to a sometimes muddled area of the law. While the questions are not simple, the facts are. 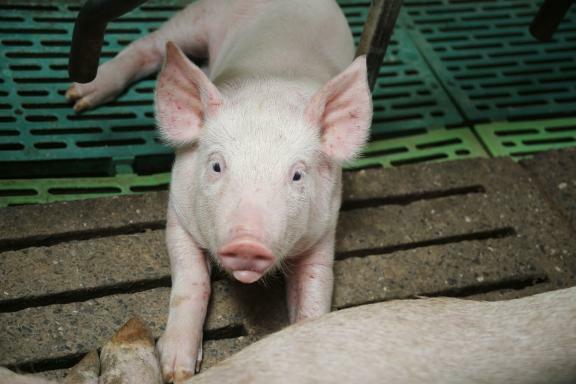 The debtor’s hogs were sold, and the proceeds were insufficient to satisfy the liens of both the feed supplier that extended credit to the debtor for the purchase of feed, and the bank, which had a preexisting perfected security interest in the hogs. $342,371.78 remains in escrow pending resolution of the parties’ competing claims. Pursuant to Iowa Code section 570A.4(2), is an agricultural supply dealer required to file a new financing statement every thirty-one (31) days in order to maintain perfection of its agricultural supply dealer’s lien as to feed supplied within the preceding thirty-one (31) day period? Feed dealers hoping this decision would relieve their obligation to file financing statements every 31 days may be disappointed; however, the case did offer a victory to these dealers. Pursuant to Iowa Code section 570A.5(3), is the “acquisition price” zero when the livestock are born in the farmer’s facility? In answering the second certified question, "yes," the Court ruled that the acquisition price for animals raised in a farrow to finish operation is “0.” This means that under Iowa law, an ag supply dealer of feed can receive a “super-priority” position as against other creditors to the full extent of the value of feed purchased, so long as they faithfully file their financing statements every 31 days. With both questions answered in the affirmative, the case returns to the federal district court. In light of the Iowa Supreme Court’s decision, the bankruptcy court’s opinion will be affirmed: The feed dealer has a super-priority claim for $156,367.43 and an unsecured claim for $186,004.35. Although the bank has a secured claim is in the amount of $315,270.19, it will only collect what is left after the feed dealer receives its $156,367.43. This case is Oyens Feed & Supply, Inc. v. Primebank, No. 15–0806 (Iowa Sup. Ct. May 27, 2016). The federal district court case (from which these certified questions arose) is Oyens Feed & Supply, Inc. v. Primebank, 2015 U.S. Dist. LEXIS 58482 (N.D. Iowa May 5, 2015), an appeal from In re Crooked Creek Corp., No. 09-02352S, 2014 Bankr. LEXIS 4456 (Bankr. N.D. Iowa October 21, 2014). [ii] In re Shulista, 451 B.R. 867 (Bankr. N.D. Iowa 2011); In re Big Sky Farms, Inc., 512 B.R. 212 (Bankr. N.D. Iowa 2014); In re Schley, 2014 Bankr. LEXIS 1724 (Bankr. N.D. Iowa Apr. 18, 2014).